I admit it; I am hooked. Ever since my invitation to join Pinterest, it has become one of my favorite time wasters. Like any good thing, I have had to severely limit myself to small amounts of time and only after my work and homework are done! 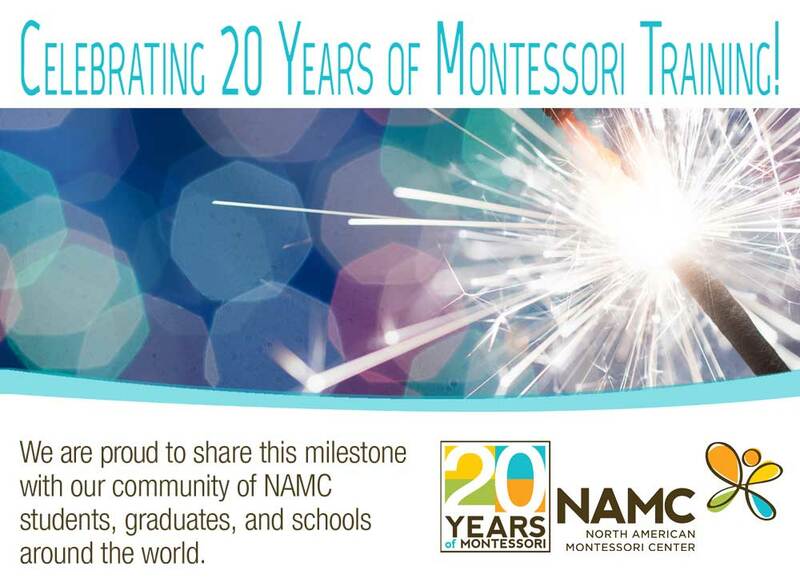 Being a Montessori educator, I frequently find myself perusing the Education category. It is very easy to become tempted by the cute bulletin board and classroom décor ideas. There are welcome banners, posters, and so many colorful decorations it makes me feel like a kid in a candy store. Remember the looks on the children’s faces in Willy Wonka and the Chocolate Factory, when the children see the River of Chocolate and edible flowers and grass for the first time? They are totally overwhelmed. I can certainly relate, as I see all the classroom décor ideas and think, “I have to have it!” And then I realize, if my senses are overwhelmed, the children must be, too. Children with attention disorders have a hard enough time focusing and concentrating without being constantly bombarded by the visual stimulus in the classroom. 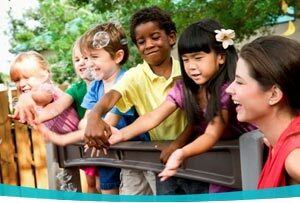 The Montessori school and classroom environment is one that promotes peace and tranquility. The use of natural wood shelves and materials along with soft neutral paint is meant to soothe the senses and attract the children to the Montessori materials and not to the decorations on the wall. Dr. Montessori said that her materials were to beckon the children to come use them. If the décor in the class is overwhelming, the materials remain unnoticed. The use of natural materials such as wood, bamboo, and fabric inspire not only a sense of beauty, but also a sense of respect and reverence for nature. 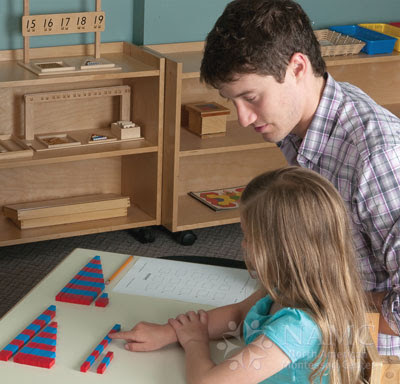 When you first walk into a Montessori classroom, you notice right away that it is different. Visitors often breathe a small sigh and visibly relax. Adults and children are drawn in because it is so peaceful and uncluttered. When I first started teaching in the Montessori environment, I will admit I was a bit underwhelmed. I missed my conventional trappings and decorations. I developed an appreciation, though when I saw firsthand the effect it had on the children. My classroom was neat, open, and airy; it did not have the cluttered, “not enough room” feeling that my traditional classrooms had. I found I did not need all the stimulus. Now, when I walk in a conventional classroom, my senses feel assaulted by all the “stuff” on the walls, hanging from the ceiling, and covering all the surfaces. 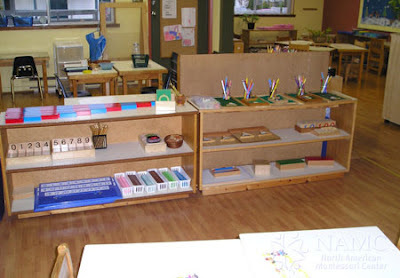 When I walk into my Montessori classroom I am confident that the décor that is there serves a purpose, as it draws the eye to the Montessori materials and fills the soul with a sense of calm and purpose. © North American Montessori Center - originally posted in its entirety at Montessori Teacher Training on Wednesday, September 5, 2012. Thank you for your article on the decor of a Montessori classroom vs. a "traditional" classroom. When I started teaching, I taught in a public Montessori classroom which of course looked very much like the ones pictured in your article. Unfortunately for me due to # at enrollment I was transfered to another school in the district at which point I spent the next 6 years enslaved to Principals instructing (even ordering) me to fill my walls with student work, posters, job charts, calendars, etc etc. It was an endless battle and I constantly felt my room was cluttered. It had a profound effect on my ability to teach as well. I run into parents of my Montessori students and am told how they have never since been a classroom that was as organized, calm, or inspired learning and I tell them neither have I. I miss my Montessori classroom! I couldn't agree more. As a creative person who loves crafting, I have to step back and ask myself. Is this decoration for my own fulfillment or for the child's? The classroom environment should be more about promoting the child's creativity rather than showcasing my own.